Guts2Glory shared Challenged Athletes Foundation's photo. Talk about a CAF success story. In 2010, elite MSU Denver soccer player Courtney Ryan was side tackled when a blood clot burst causing some of the nerves to detach from her spinal cord, leaving her a paraplegic. After moving back to San Diego Courtney joined CAF's Project N.Ex.T. mentoring program and mentor Erica Davis introduced her to wheelchair basketball. 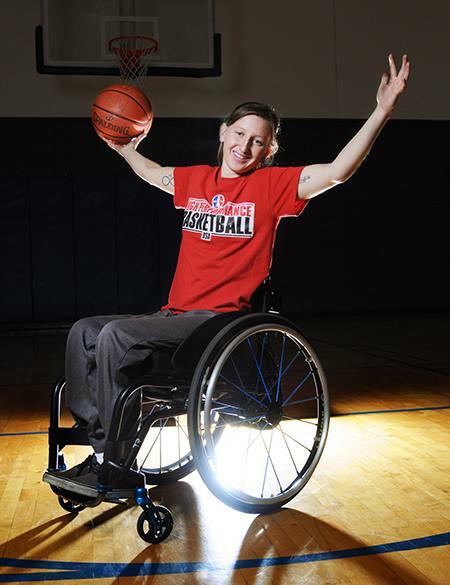 Now a few years later, Courtney has been named to the USA Women’s Wheelchair Basketball Team. Congrats Courtney! http://msudenver.edu/magazine/storyarchive/winter-2014/playingthroughthepain/ — with Erica Davis.